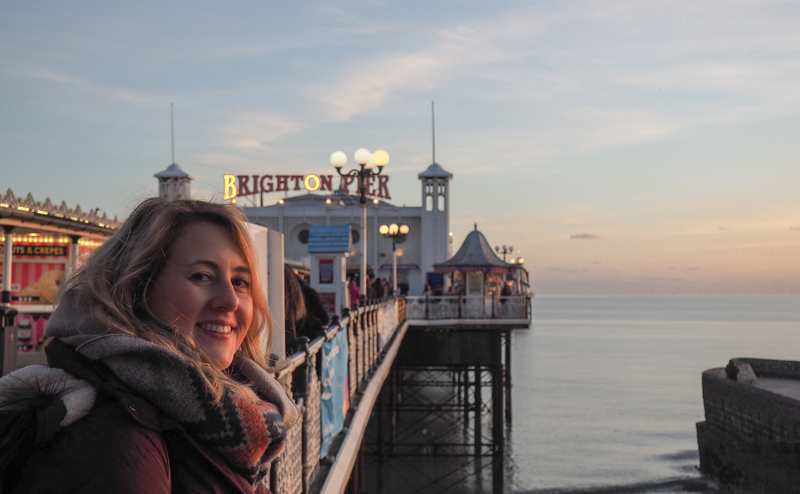 With just a one hour train ride away from London, Brighton is a popular destination for a day trip to the beach – even in late October! 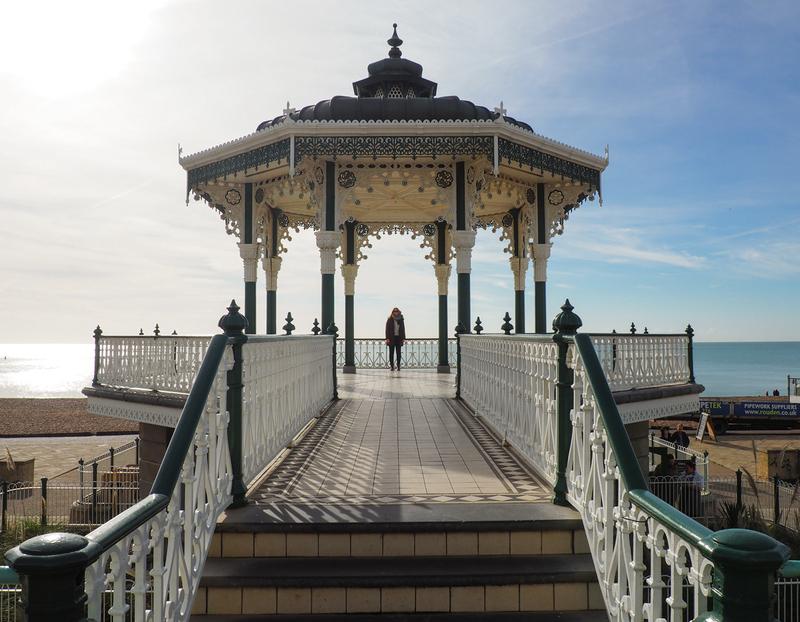 You might not be able to go swimming but there are so many other places to visit in Brighton apart from just the seaside. I do think that the beach with its Palace Pier is the highlight, especially if you live in a landlocked area and don’t get to see the sea very often. But there are so many great shops, cute coffee places and a large cultural, music and arts scene as well. I think it’s the perfect place for a weekend away with friends. 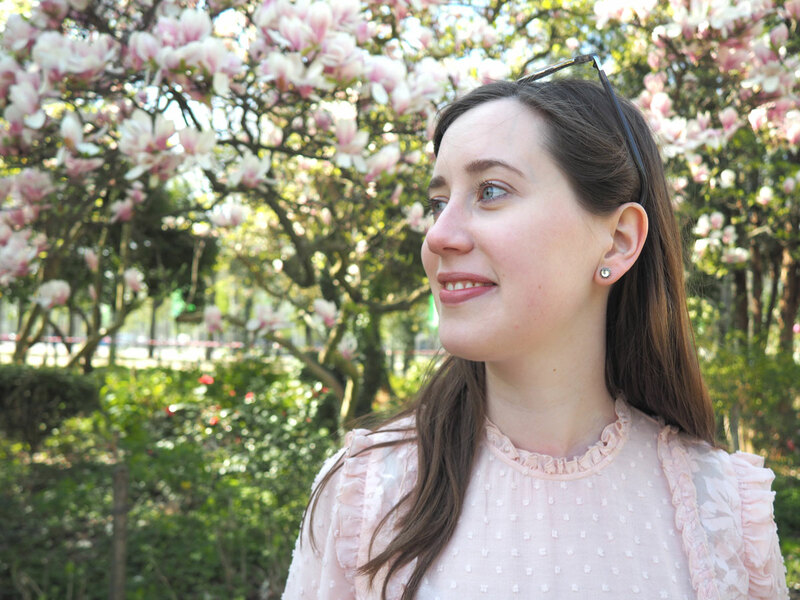 My friend Leah and I stayed in an Airbnb for two nights, so we tried to make the most of the 48 hours we had in Brighton. 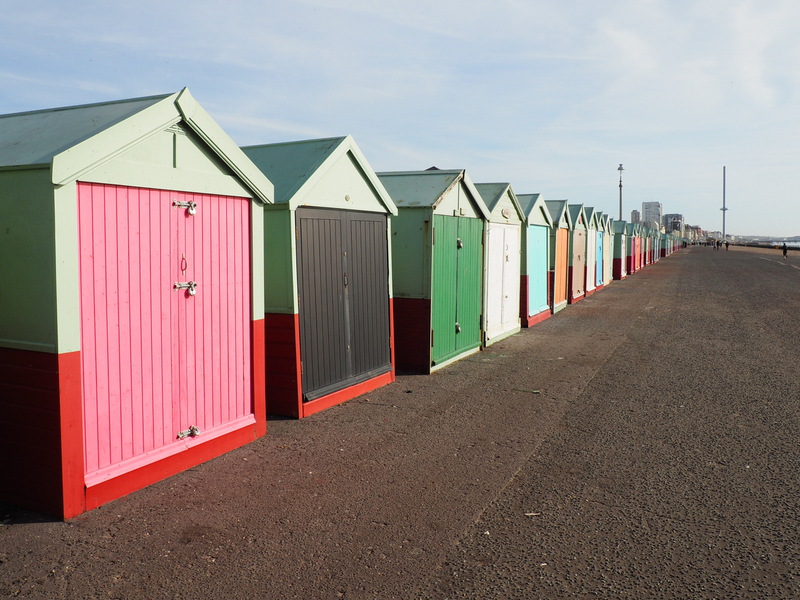 Luckily the weather was nice, so we started our first day near the colourful beach huts in Hove just outside Brighton and walked along the beach towards the Pier. 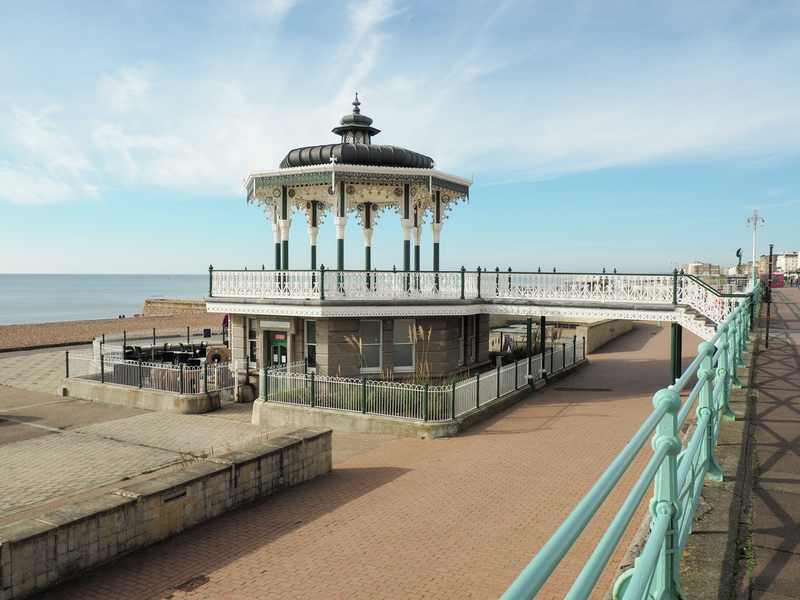 There is a historical Victorian bandstand on the beach that re-opened in 2009 after a major restauration. It’s available to hire for weddings and ceremonies and during the summer months it also hosts a variety of bands. From the Bandstand you can see the old West Pier, or rather what remains of it. Built in 1866, it attracted many visitors in the early 20th century but its popularity declined after World War II. After attempts to restore the pier in the 1970s had failed, storms and a big fire in 2003 destroyed the building completely. 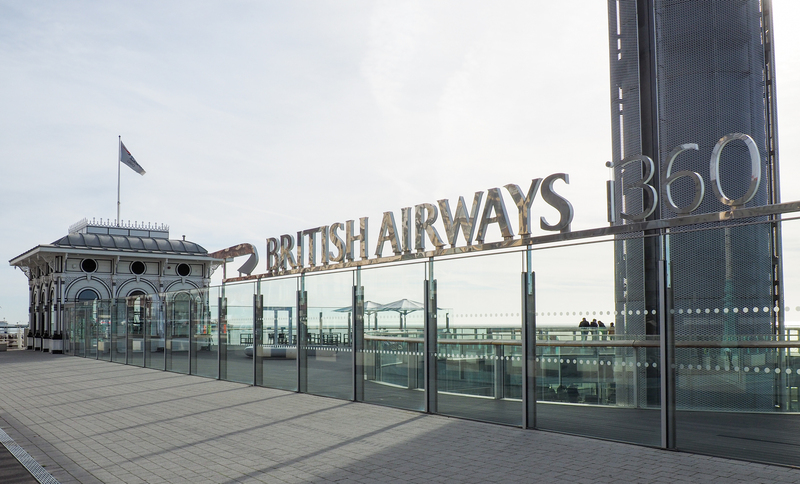 As of 4th August 2016, Brighton has a new attraction near the West Pier – the British Airways i360, a moving observation tower. Visitors glide up 138 metres in a glass viewing pod to have 360-degree views across Brighton, the South Downs and, on a clear day, all the way to the Isle of Wight. The best way to purchase tickets is online and at least 72 hours in advance as they are cheaper than bought on the day. 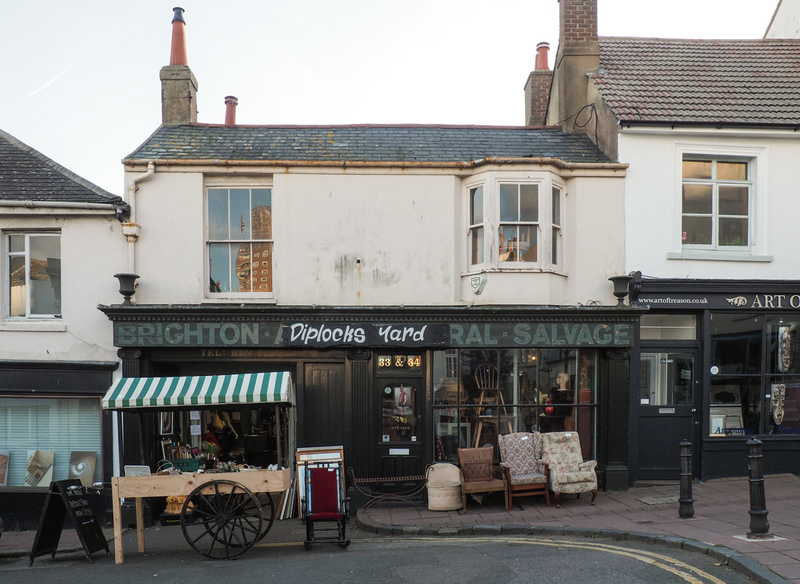 A bit further away from the seaside, you can find the Brighton Lanes, a maze of narrow alleyways with antique shops, jewellers and design shops. 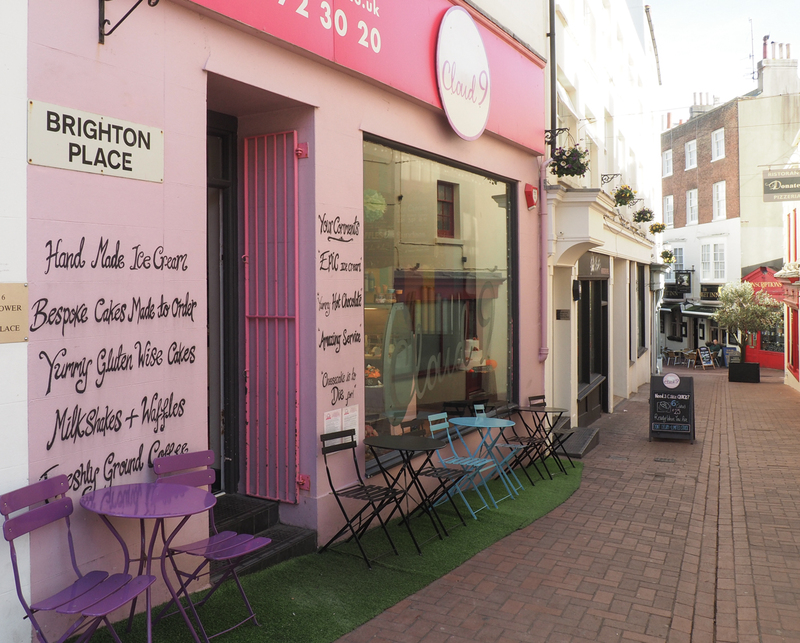 If you walk further up north you’ll end up on North Laine, the bohemian quarter with lots of quirky independent shops and restaurants. We actually spent a whole morning in this area before we left Brighton. 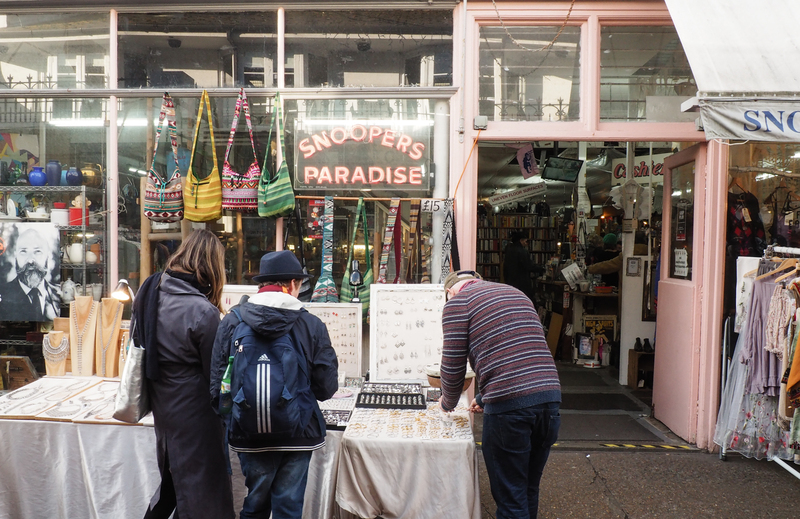 The shops on North Laine are perfect if you’re looking for a thoughtful gift or unique home decoration and vintage items. 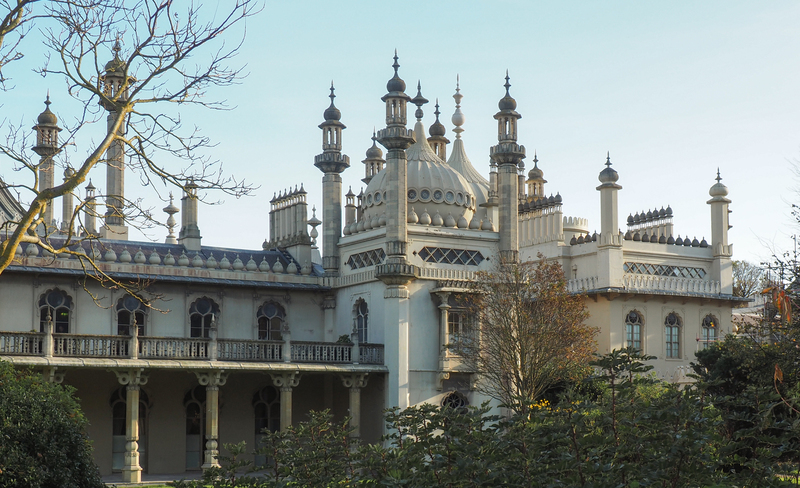 Also known as the Brighton Pavilion, this former royal residence was built as a seaside pleasure for King George IV. It’s such an interesting and exotic building among all the Regency and Victorian architecture as it follows the Indian style. 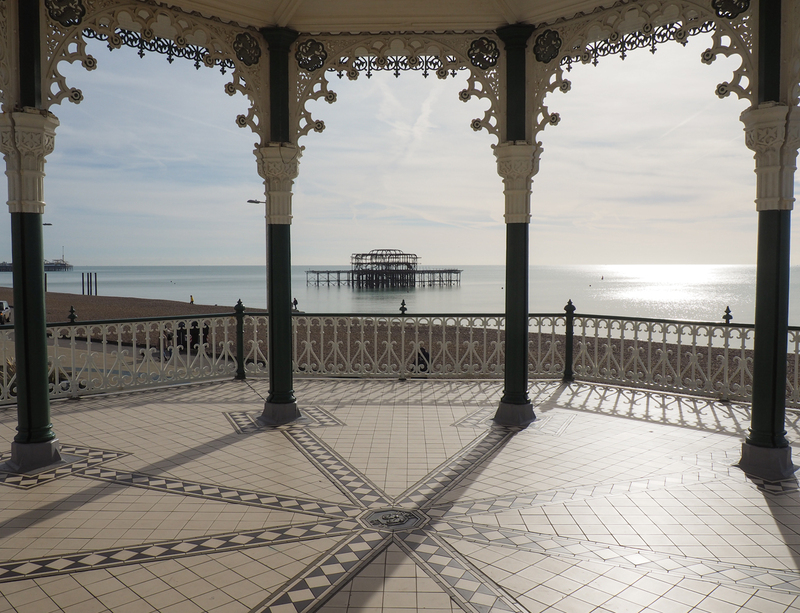 Brighton purchased the Pavilion from Queen Victoria in 1850 as it couldn’t provide her with the space and privacy she needed for her family. Just one year later, the Royal Pavilion was opened to the public and it is still a major visitor attraction today. 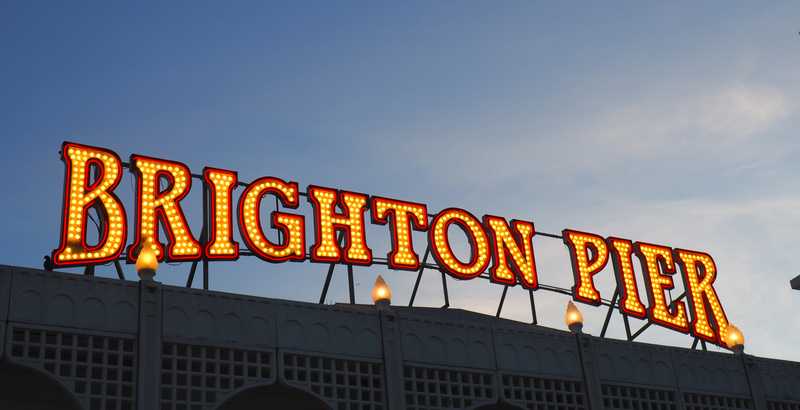 Last but not least: the Palace Pier! This must be the most photographed building in Brighton. 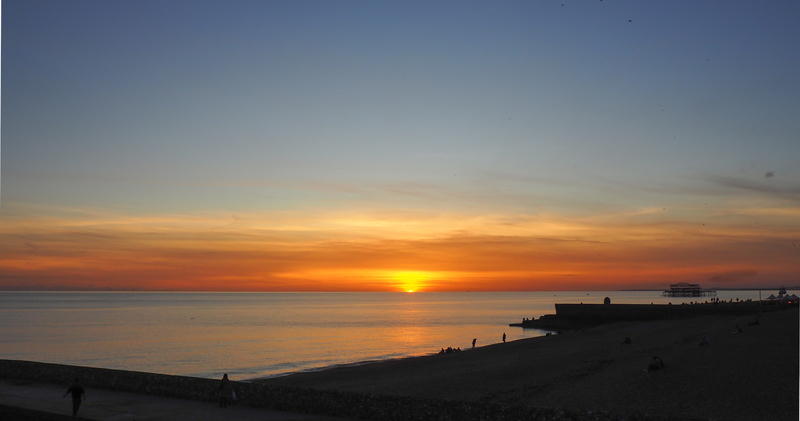 We had such a lovely sunset, despite it being before 5pm as the clock had just changed a couple of days before. The Pier opened in 1899 and is now an amusement park with fairground rides, roller coasters, an arcade and various food stalls to indulge in fish and chips, ice cream or candyfloss. 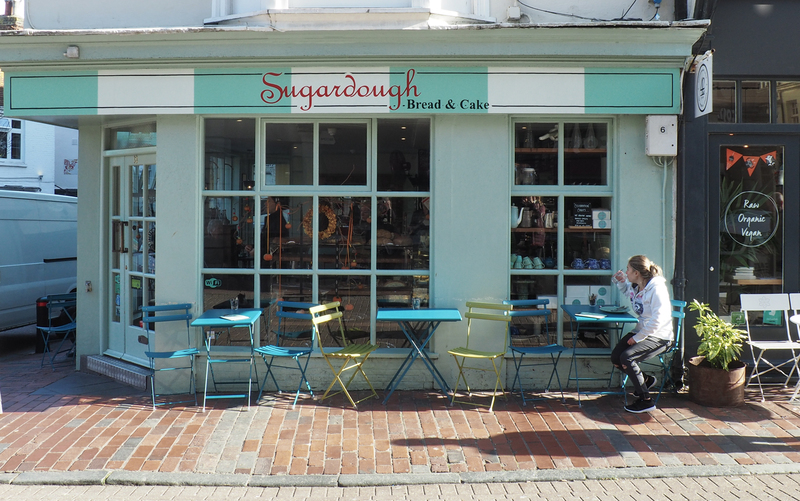 Visiting Brighton outside the summer season means that you can beat the crowds but even in late October I had the impression that the city was incredibly busy. If you have more than 48 hours to spend it might be nice to get out of town for a day and explore places like Stanmer House, Devil’s Dyke or the South Downs. 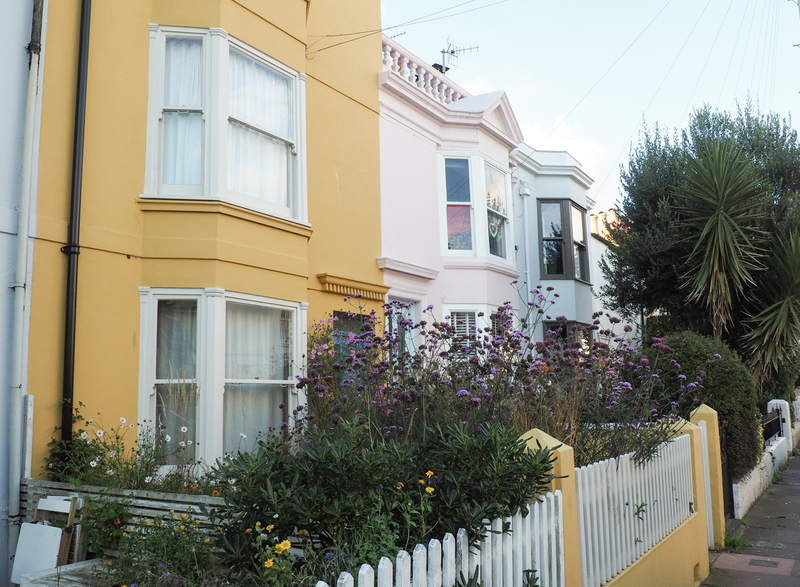 But if you like vibrant cities and especially the beach, Brighton is definitely a great British seaside resort to visit. Sign up to my email list and get notifications of new posts straight into your inbox!